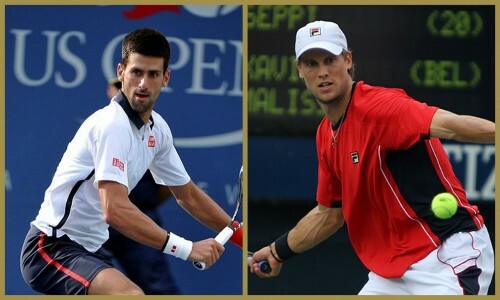 The number one seeded Serbian International Novak Djokovic will face number 25 seeded Italian International Andreas Seppi in the round 3 gentlemen’s singles match at the US Open. The 9-time Grand Slam winner Novak progressed to round 3 following comfortable straight set victories over unseeded Joao Souza(6-1,6-1,6-1) in round 1 and Andreas Haider-Maurer(6-4,6-1,6-2) in round 2 while Seppi won against Tommy Paul(6-4,6-0,7-5) in the 1st round and Teymuraz Gabashvili(3-6,6-3,7-6,6-1) in the 2nd round. They two players have met each other on 10 previous occasions, with Novak winning all of their encounters which also includes 6 hard court victories as well. Prediction: 2011 US Open Winner Novak Djokovic to win in straight sets. The 21-time Grand Slam winner and 6-time US Open winner Serena Williams will face Bethanie Mattek-Sands in an all-American clash in the 3rd round Ladies singles match on Day 5 of the US Open. 33-year old Serena progressed to the 3rd round by winning her round 1 match against Vitalia Diatchenko(6-0,2-0 retired) and her round 2 match against Kiki Bertens(7-5,6-3) while her opponent won against Kateryna Kozlova(6-4,6-3) and Coco Vandeweghe(6-2,6-1) in the 1st round and 2nd round respectively. The two players have met on 2 previous occasions with Serena winning the both encounters in straight sets. Predictions: Serena to the tie in straight sets. 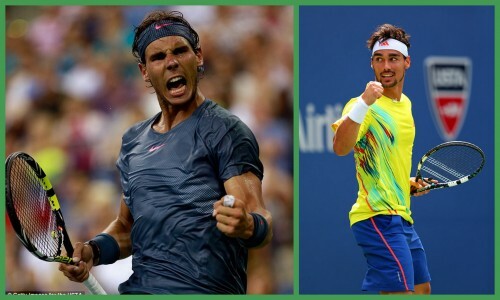 The 2-time US Open Winner Rafael Nadal will face the Italian International and number 32 seeded Fabio Fognini in the 3rd round Gentlemen’s Singles match at the US Open. The 29-year old Nadal progressed to the 3rd round with comfortable victories over teenager Borna Coric(6-3,6-2,4-6,6-4) in the 1st round and Diego Schwartzman(7-6,6-3,7-5) in the 2nd round while Fabio Fognini won against Steve Johnson and Pablo Cuevas in the 1st and 2nd round respectively. The two players have met each other on 7 previous occasions with Nadal winning 5 of those encounters. Prediction: Nadal to go through with a 4-set win. 7-time Grand Slam winner and 2-time US Open winner Venus Williams will face a tough test in number 12 seeded Belinda Bencic in her 3rd round Ladies Singles match. The 18-year old Bencic progressed to the 3rd round with victories over Sesil Karatantcheva(6-1,6-2) in the 1st round and Misaki Doi(5-7,7-6,6-3) in the 2nd round while Venus won her matches against Monica Puig(6-4,6-7,6-3) and Irina Falconi(6-3,6-7,6-2) in the 1st round and 2nd round respectively. The two players have met each other in the professional cicuit on 3 previous occasions with Venus coiming out on top on all three occasions. Prediction: Venus to go through in a closely fought contest. 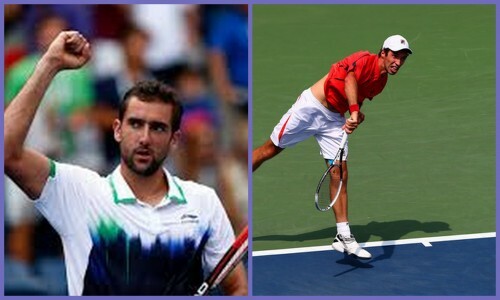 The 2014-US Open winner Martic Cilic will take on Kazakhstan’s Mikhail Kukushkin in the 3rd round Gentlemen’s Singles match on day 5 at the 2015 US Open. The 26-year old defending US Open Champion Martin Cilic progressed to the 3rd round with victories over G.Pella(6-3,7-6,7-6) in the 1st round and E.Donskoy(6-2,6-3,7-5) in the 2nd round while Mikhail won against Y.Lu(6-3,6-3,3-0 retired) and G.Dimitrov(6-3,7-6,2-6,4-6,6-4) in the 1st round and 2nd round respectively. The two players have met each other on 2 previous occasions with both winning 1, Cilic’s win over Mikhail was more recent in 2014. 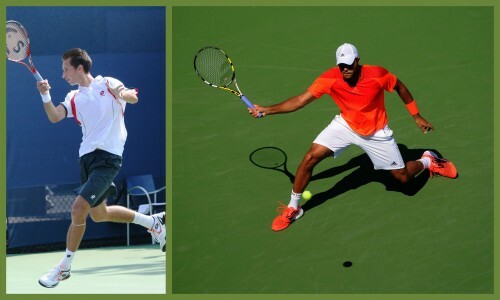 The 2011 quarter-finalists Jo-Wilfried Tsonga will face the Ukranian International Sergiy Stakhovsky in the 3rd round Gentlemen’s Singles match on day 5. The Frenchman won his 1st round match against J.Nieminen(6-3,6-1,6-1) and his 2nd round match against M.Granollers(6-3,6-4,6-3) while the 29-year old Sergiy won against J.Millman(6-1,3-6,7-6,6-4) and I.Marchenko(6-4,7-6,4-6,6-4) in the 1st round and 2nd round respectively. The two players have met on previous occasiosn in the professional circuit with Tsonga winning 4 of those encounters. Prediction: Tsonga going through in a 5-set thriller.